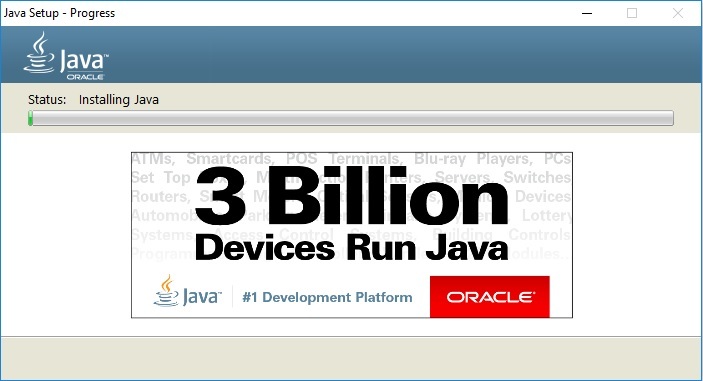 OpKey Web supports Java 8 or above versions. JDK is a superset of JRE, and contains everything that is in JRE, plus tools such as the compilers and debuggers necessary for developing applets and applications. 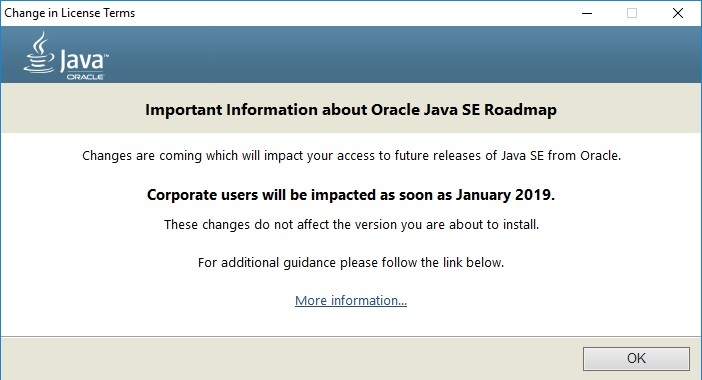 If you are installing JDK then you don’t need to install JRE separately. You can download JRE 8 or above version and install it on your machine. 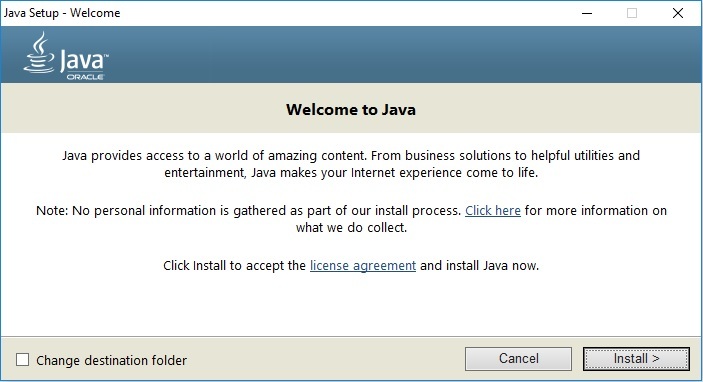 The JRE Installer is located on the Java SE Runtime Environment 10 Downloads page. In a browser, go to the Java SE Runtime Environment 10 Downloads page. Download the JRE installer according to your requirement. The Windows Offline installer and Windows installer contains everything that is required to install the JRE. 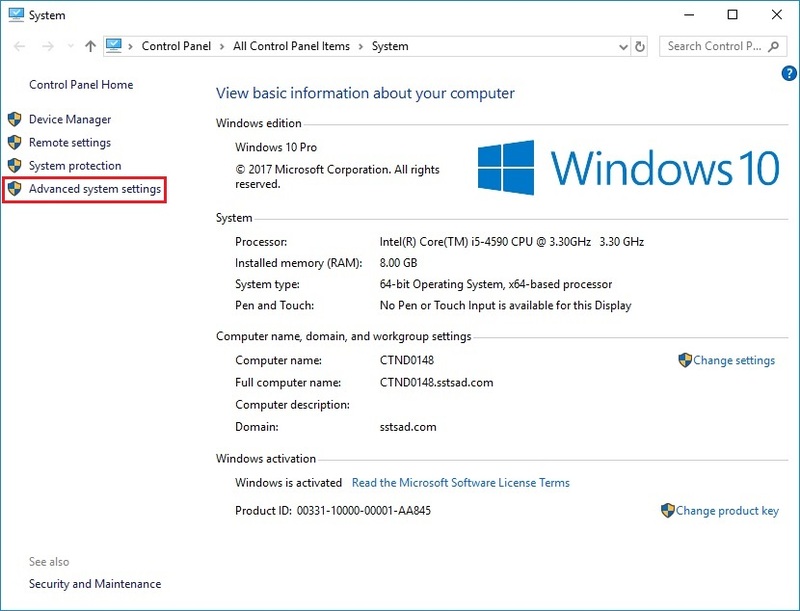 The Microsoft Windows Installer (MSI) Enterprise JRE Installer is also available, which enables you to install the JRE across your enterprise. It requires a commercial license for use in production. 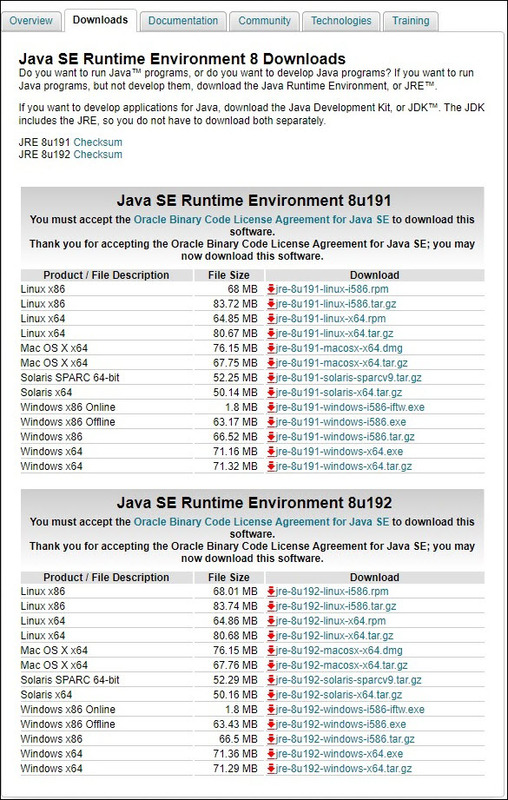 Open Java SE Runtime Environment Downloads page. Click Accept License Agreement, and then, under the Downloads menu, click the link that corresponds to the installer for your version of Windows. Note the file size specified on the download page and, after the download has completed, verify that you have downloaded the complete file. You must have Administrative privileges in order to install the JRE on Microsoft Windows. Start the JRE 8 Installer by double-clicking the installer’s icon or file name in the download location. Installation wizard shows some important information. Click OK to proceed installation. JRE Installation is in progress. You get following message once JRE gets installed successfully on your Windows machine. JRE 8 has been installed on your machine successfully. Further, you need to configure Path of Environment Variable. Select Control Panel and then System. 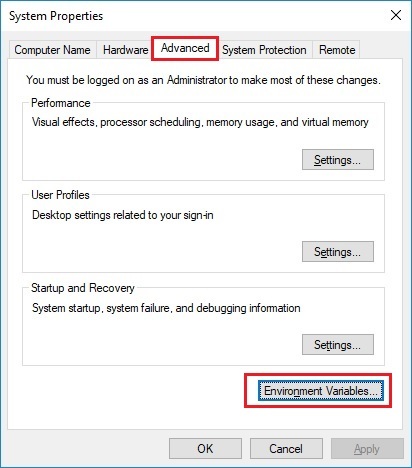 Navigate to the Advanced tab and click on Environment Variables. Go to the System Variables tab and click on New. Enter JAVA_HOME as Variable Name and the Path of installed JDK as Variable Value. Click on OK. Close other windows while clicking OK.
Java Variable path has been configured successfully. 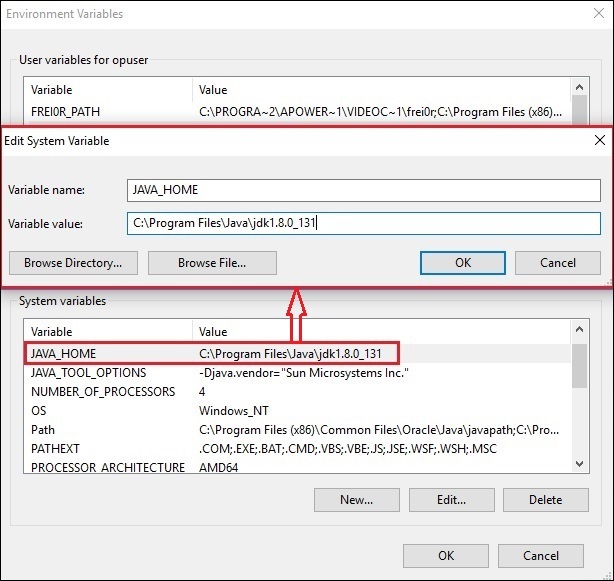 How to check Java Version installed on your Windows machine? Open command prompt (Press Windows with R & type CMD). Java Version installed on the machine can be viewed easily. 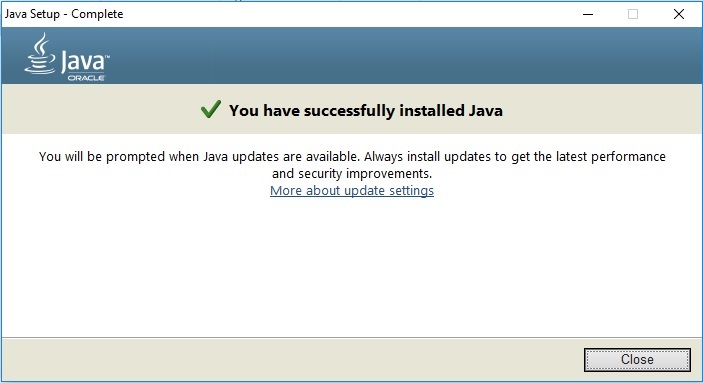 How to check Java Version installed on your Mac machine? Open Terminal on your Mac machine. Type Java -version command and press enter.